Twitter announced #FollowMe, which allows you to create a short video to the best of your Twitter account: the best tweet, the best images, followers more you interact, the times of day they send their tweets, the best topics and until their videos of vine. 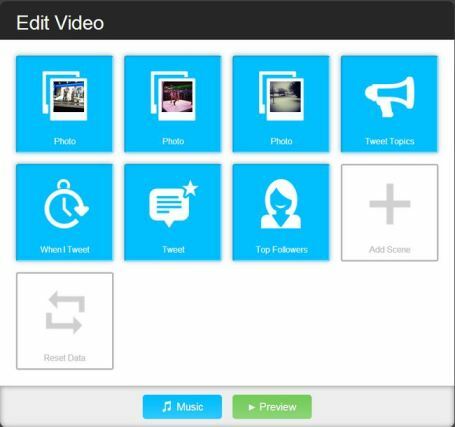 Only connect to Vizify, authorize it to access your Twitter account and Vizify created video automatically. Then you can edit to change the things you want the music of it, remove and add items to this video. Once finish it can share, add to your Twitter bio for anyone to see and to put the URL of the video as its URL on Twitter.